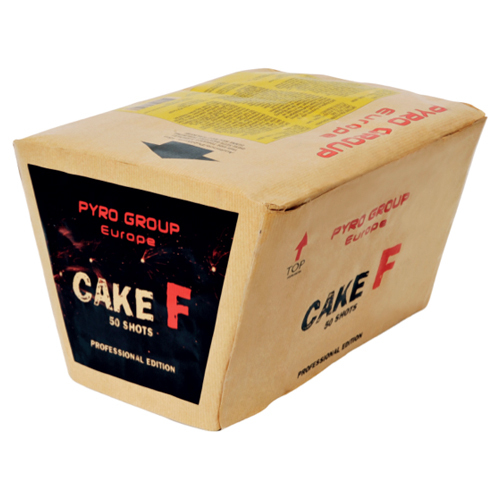 Cake F is a fan shaped cake which is a similar style to those we used in our professional displays. 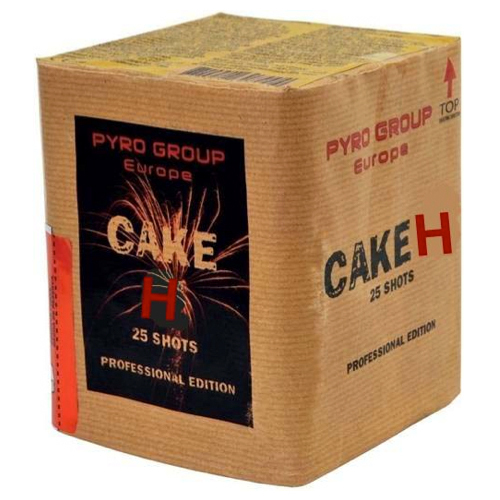 It can be used anywhere in the show or as a finale cake. The cake starts with red dahlia and white glittering, then moving onto golden shine and green glittering. Next is golden shine and red glittering followed by golden shine and crackling stars, finishing with crackling rain willow and blue pearls.